Today we are going to explore the cosiest little apartment that you will ever see, designed by professionals Brando Concept. While this home is small, it is a wonderful example of how dynamite comes in small packages. It also shows how if you invest in neutral colours and warm and earthy tones, you can end up with a home that envelopes you in warmth and serenity. Your home should be an oasis where you can escape from the rest of the world and that's exactly what the designers have achieved here. Your little home can be your own, personal haven! When it comes to a small home, open plan is always the way to go. By eliminating walls, you create much more space. You also allow living areas to flow into one another. In this image, we can see how the dining room and living room become one interactive space. What is most striking, however, is how neutral and warm tones make for a very homely environment. The light wooden floors and white walls set the foundation, while the brown, beige and white furniture adds to the earthy space. You'll also notice that there is a wonderful balance between function and style. From this angle, we can see how natural light flows into the living space thanks to the large glass windows and doors. For any small yet modern home, natural light is a big must! 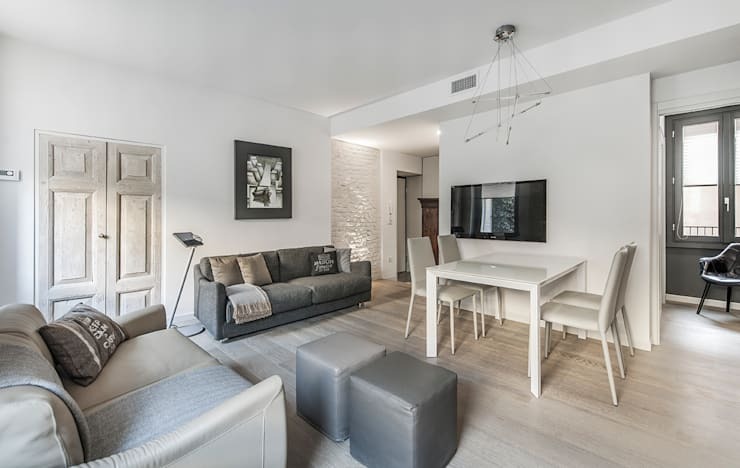 Natural light works in harmony with light walls and floors, creating a very spacious and bright interior design. It also naturally warms up the environment so that you spend far less money on artificial heating and light. Do you see how the designers have added a stone wall to the environment, which introduces a rustic touch to the space? The kitchen also plays a role in the open plan design, fitting snugly into the corner. 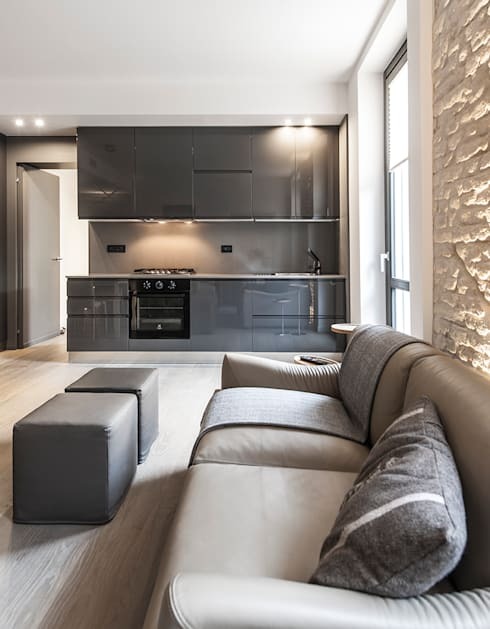 Yet it takes on a very modern, chic and edgy look and feel with its dark grey tones and silver appliances. The designers have invested in a minimalist design, keeping the space neat and organised. It's dominated by functionality and clean lines. This has been achieved by ensuring there is plenty of storage space, keeping all items kept neatly out of sight. Have a look at these tips: 6 Smart Kitchen Storage Solutions. This bedroom is a classic example of elegance and comfort. 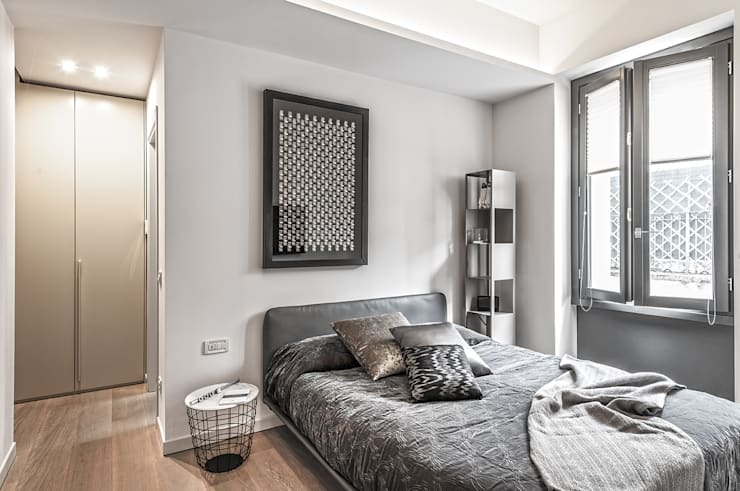 The designers have gone for a 50 shades of grey look and feel in this space, with functional items such as the duvet and cushions bringing texture and tone to the space. The artwork on the wall adds another touch of decor to the room, while hinting at the home owner's taste and style. This space also received plenty of natural light, thanks to the large glass windows. This has allowed the designers to work with darker tones. A bathroom is often overlooked when it comes to decor and design, but this should not be the case. 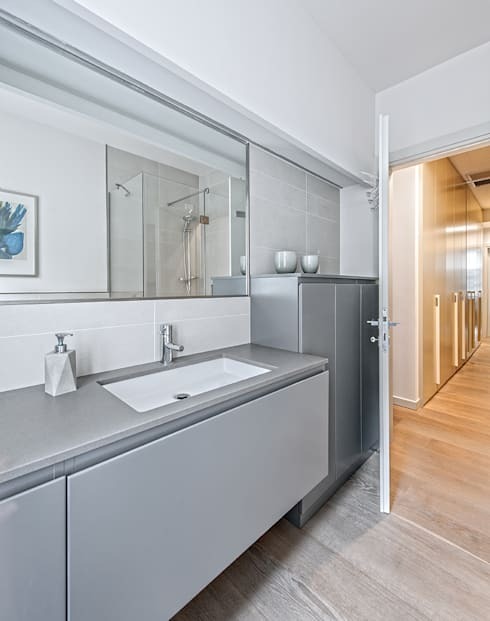 Your bathroom is a room in the house where you spend all of your time so you want it to look stylish as well as give you a sense of serenity and peace. In this home, we can see how the designers have ensured that there are plenty of cabinets and cupboards, keeping all personal products like soaps and shampoos neatly stored away. This keeps the counters bare except for the most functional of items. 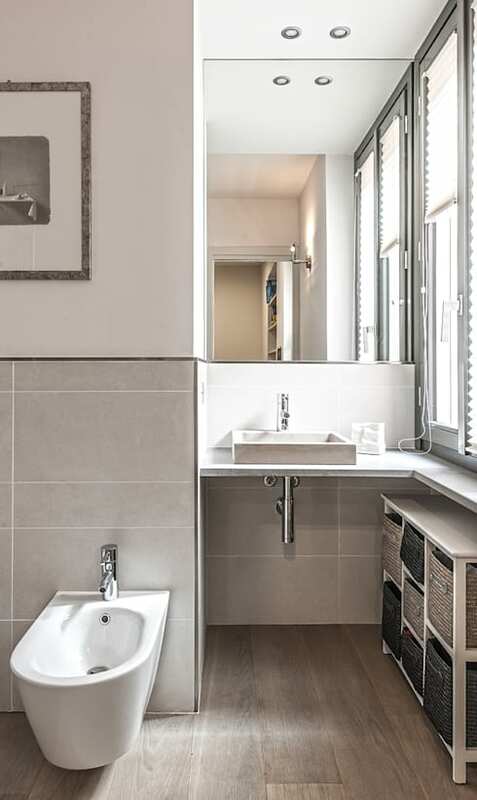 A large mirror extends across the entire wall above the sink, which creates the feeling of depth and space—a great trick! From this angle, we can see how every square inch of the bathroom has been utilised. The designers have really made the most of every corner, nook and cranny. In a small home, it's important to be innovative and creative with space. Have a look at these tips for getting creative with those wasted corners. If you've enjoyed exploring this home, you may also be interested in these 18 multi-functional furniture ideas perfect for small houses. 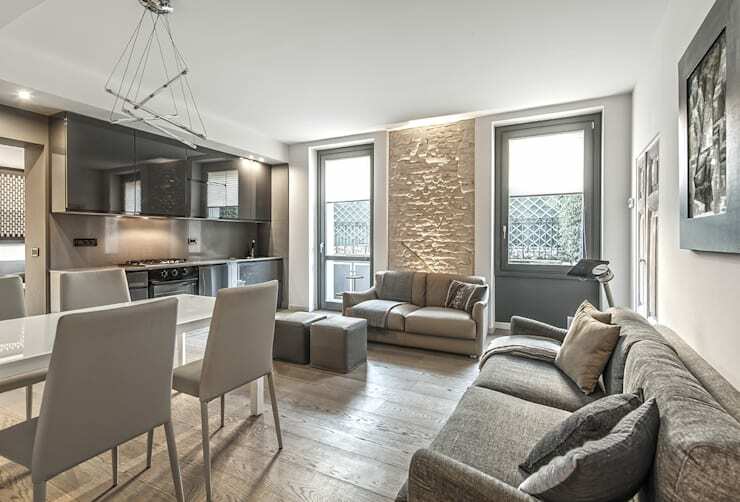 What do you think of this homely apartment?